Welcome to Morrow County Farm Bureau’s trustee spotlight! Every month, we will feature spotlight blogs on board members so you can get to know them a little better. Today’s blog features Morrow County Farm Bureau’s board secretary, Erika Begle, who has been a member since 2014, and has served on the board since 2015. To learn more about Erika, read her interview below. Erika Begle is originally from Mount Gilead, and graduated from Northmor High School. 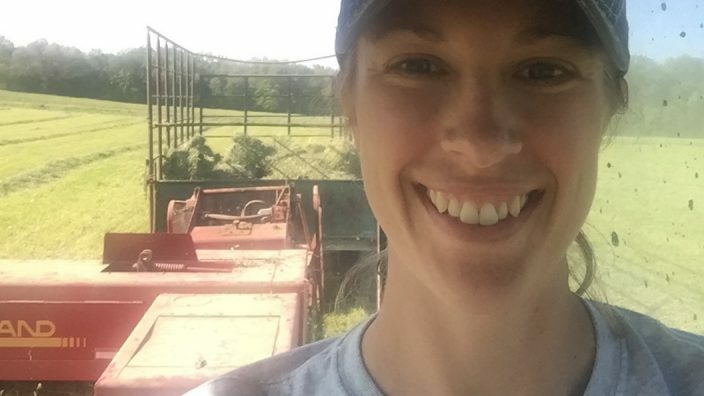 After high school, she attended The Ohio State University’s Agricultural Technical Institute and earned an associate’s degree in beef management. Erika works as the administrative assistant for the Morrow County Soil & Water Conservation District. 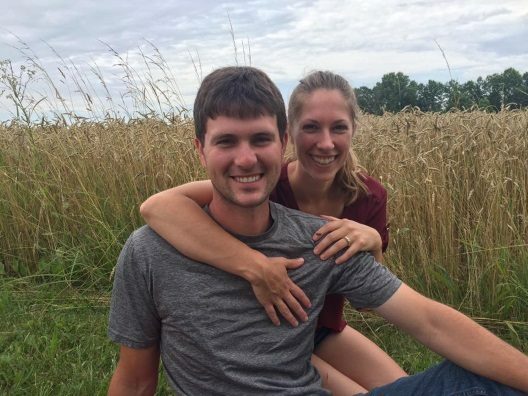 She is also a newlywed: She married Ethan Begle in November 2017. Besides Farm Bureau, she is active at Palmyra Church of Christ. What and where do you farm? I have a few cows/calves and have 16 layer chickens in Mount Gilead. I also help with my grandma’s beef operation and milk on weekends at my cousin’s dairy. I grew up on a family farm. My grandparents started a dairy farm that transitioned to beef from 2005 to 2008. We also grow grain crops and hay. Why did you decide to be a farmer? I grew up farming and can’t think of a better way to live. What do you love about farming? I love watching things grow, caring for animals, and having a sense of accomplishment after a hard day’s work. What is the biggest challenge facing agriculture? The biggest challenge is the lack of knowledge and understanding about agriculture from the general public. Why are you active (the biggest benefit) in Farm Bureau? I joined as a way to stay informed about things happening in agriculture and also to help represent the ag field. What is your favorite Farm Bureau event or activity? My favorite event has been learning and networking at the state Young Ag Professionals (YAP) leadership conference. What Farm Bureau programs are you most active in? I’m most active in the YAP and am part of the YAP planning committee for the county. What are your hobbies besides farming? I enjoy gardening and baking. I would like to travel to New Zealand, mostly for the scenery.